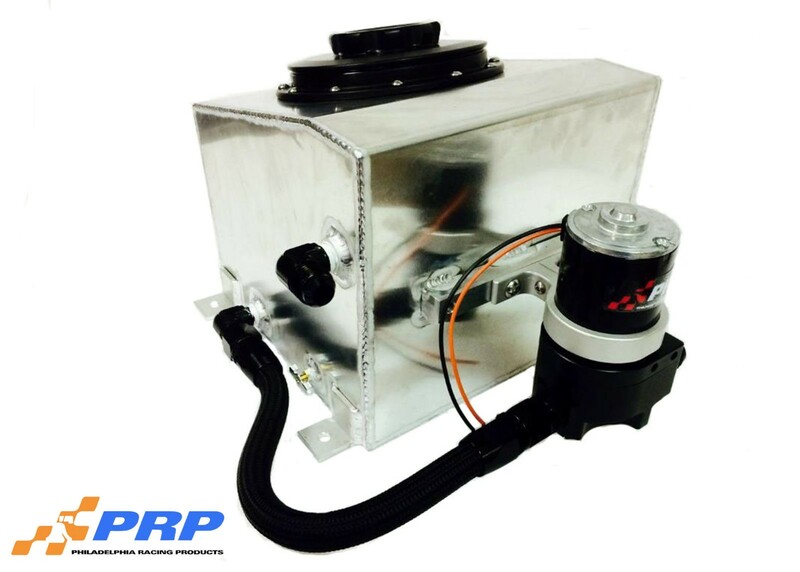 PRP’s new intercooler plumbing kit is the answer for any turbo application. This kit was designed to solve your water to air intercooler headaches in one package. This kit includes all top of the line products that are black anodized for a long-lasting great look and corrosion protection. Kit comes complete with 5.5 Gallon water tank, billet inline water pump, billet mounting brackets, extra-large billet fill cap, two ½” NPT female bungs, ¼” NPT drain, and all necessary fittings and hose. and all necessary fittings and hose.